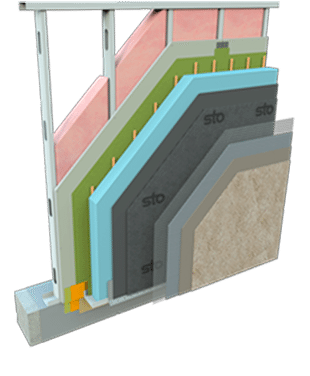 Backup Wall System - Sto Corp.
A single-source, tested and warranted solution that complies with building codes. 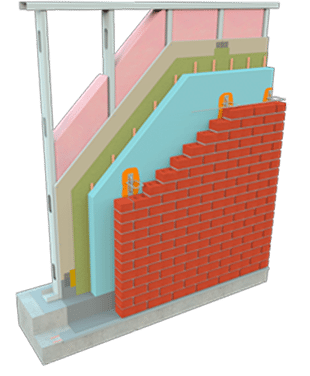 Building industry experts recognize the need for an air barrier, continuous insulation and better drainage in walls beyond today’s typical construction. Industry organizations have written new codes to address the needs, and government agencies are enacting new policies to ensure compliance. More than ever, the time is right for StoEnergy Guard’s proven backup wall protection. 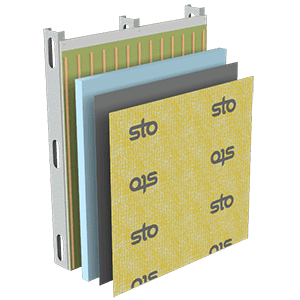 A complete, code compliant solution designed for a variety of claddings. 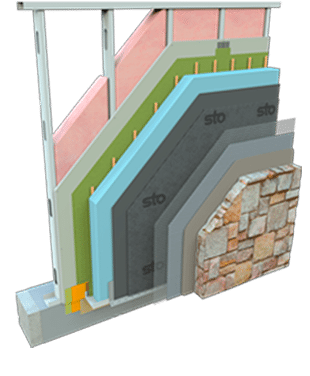 The StoEnergy Guard Backup Wall System provides the rough opening protection, waterproof air barrier, drainage and continuous insulation elements your walls need to be code compliant, energy-efficient and durable. 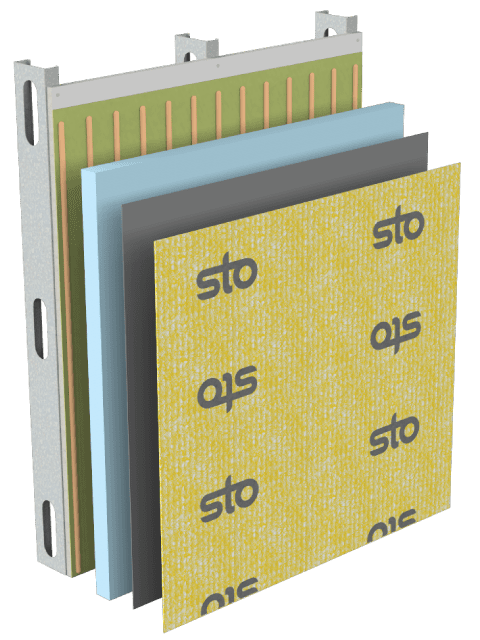 This high-performing solution from Sto ensures high quality components and compatibility, and is backed by Sto’s extensive system warranty.